Food and travel writing will have to wait a little longer since this week has once again been filled with the love and care of our dog Beamer. 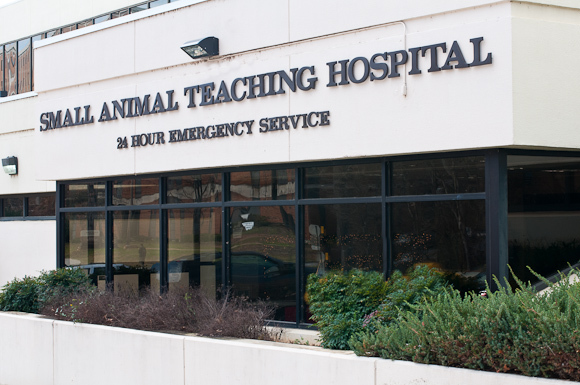 “It is recommended that Beamer be euthanized due to the possible exposure to rabies from the raccoon bite.” That is what we have heard twice now from two different emergency veterinary facilities. Can you imagine how emotional and gut wrenching it is to think that your beloved pet and companion of the past ten years must be destroyed because he may have been exposed to rabies? 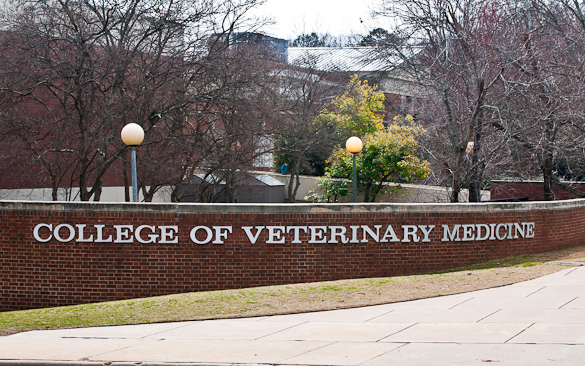 This is the required recommendation in the State of Georgia and it was delivered to us first by Georgia Veterinary Specialists and then again by the Veterinary Hospital at the University of Georgia. Our best friend has been quarantined at both facilities for potential rabies while he was being evaluated for several other possible diseases that cause paralysis. We, of course, said no to destroying our boy and remain on a rabies watch with Beamer in quarantine, which feels like house arrest, until the period of rabies development has passed. Three more days until that ten day window has passed. We know that if Beamer’s health declines, he must be put down, tested for rabies and if found, Mr. B and I must go through rabies treatment ourselves. It was three weeks ago that Beamer tangled with the raccoon and it has been a week since he first came down with paralysis of the hind quarters. This has been an incredibly stressful and emotional week for all of us, filled with fear, sadness and tears as his condition worsened and we moved between veterinary hospitals to find the best care for Beamer. I want to update you on what has happened since last week and hopefully share some useful information to all pet owners about what we have learned that has been extremely surprising. It is astonishing that most vets we consulted had no understanding of the link between animal paralysis and vaccines. Beamer’s paralysis remained unchanged over last weekend, but on Monday it worsened and moved to his front legs. He became much weaker and we were very frightened, so we decided to take him to the University of Georgia Veterinary Hospital. 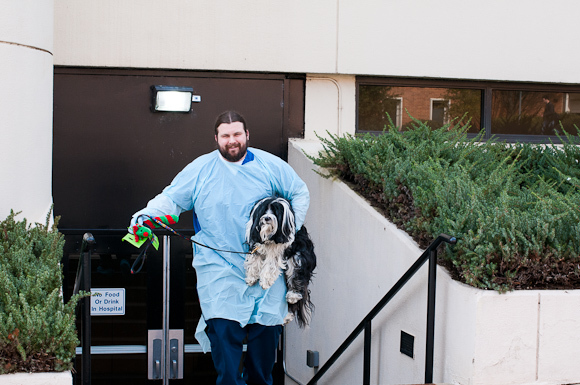 One of our Tibetan Terrier friends suggested we go to a teaching facility as they often see some of the more unusual cases. We didn’t think twice and headed to Athens, Georgia. Beamer was not doing well when we arrived at the hospital. He was very weak and frightened. They quickly whisked him away and a team of neurologists began examining him. One of the vets came out to speak with us and advised us that they wanted to keep him for observation for a few days and run some tests. They found that his reflexes were very weak. This was a change from his exam last Friday. They were also concerned that he had been bitten by a raccoon and we were within the window where rabies can develop. Beamer was quarantined again and we went home without him. Once again, Beamer’s blood work came back normal, so we met with the head neurologist the next day to discuss the possible reasons for Beamer’s paralysis. There was a fairly short list of potential diagnoses. Several of them, like Botulism, snake bite or other infections, were ruled out since he did not show other symptoms associated with these diseases and infections. A wonderful post, Gwen, about a terrific dog and a scary situation that all dog owners should be aware of. Thanks for taking the time to tell your story with links. Prayers and healing thoughts to out to you and your family. Please keep us updated. Sue, Wigglebutt Duncan, and Isadora Duncan (Izzy). Look at the pup! Thanks for sharing your experience… how frightened you must have been. This is some great information, though. Gwen, Still keeping Beamer in my thoughts and prayers and I’m hoping that your next post is about bringing him home. Beamer is with us now. 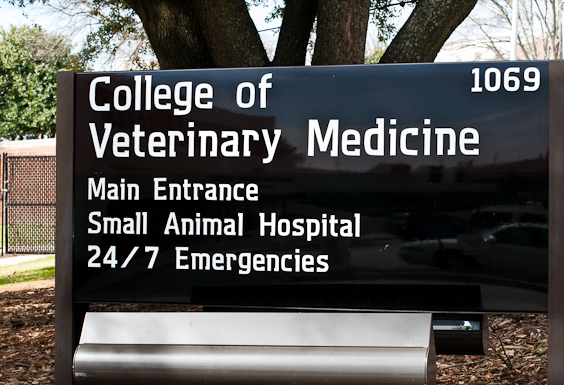 He spent one night at Georgia Veterinary Specialists and two nights at the University of Georgia Veterinary Hospital. They allowed us to bring him home for his quarantine period and recovery. There is actually no treatment for Coonhound Paralysis beyond therapy and time. Evening Gwen, i have just read your blog, what a frightening week for you all too. I must admit,i’m the same as you now when taking chipie to the vets, even though i have known my vet for over 18years, i still like to know the why’s and what’s of treatment….which luckily for the moment we have’nt needed for chipie. Every year Moustik (my yorkie) had his vaccinations then when it was possible to take him into the uk we had to get a blood test done which was sent and tested atthe Pasteur Institure. We got the results back after about 2 weeks. To be allegiable to enter the UK the level of rabies antibodies had to be higher than 0.5IU/ml……well moustiks was over 19.0IU/ml which to me means that he was way way over the limit and had enough antibodies until he got really old!!! But still he was obliged to have his booster every year and written in his pet passport…i got so worried about this. But now the laws have changed and the rabies vaccine is now every 2 years… I have chipie who has had her 1st vaccines when she was 6 months…long story as she was abanoned twice, but i have now had her for nearly 2 years and have had her results back to travel to the uk too, when her results came back, she had a level of 7.73 IU/ml, which for me is already a high enough level compared to my moustik at the time. We put our trustes in vets, but i still think there can be cause for concern about over dosing our dogs. I may be wrong, but after my results i do worry. Thank you for the long distance well wishes. Those results for your dogs are frightening. There is no reason for our pets to have this much of the rabies vaccination in their systems. It is no wonder that we are having all of these adverse (and sometimes fatal) reactions. I am glad that you are on top of the situation and understand the risks. We have been so sad to read about Beamer and his condition. Please know that there are many prayers being said for him and for you too. Certainly vets do NOT have all the answers so trusting your instincts coupled with lots of courage to reach out towards alternative methods is key. We will stay on watch to read more. Love to all. Jennifer and Bob R.
Many many Prayers for you and Mr. B and of course beautiful Beamer. I have a Havanese – Javier – that looks exactly like Beamer…only 20 lbs. Beamer is so lucky to have you for a Mom…you are taking such good care of him and not ruling anything out. He is a very lucky boy. Javier and I are pulling for you and Beamer…thank you for your updates – they are encouraging. I wish there was something I could say that would restore Beamer’s health and ease all your tears and worry but there are no words. As you know we lost Velcro 10 days ago. Like Beamer the vet told us to put her down. That was 8 weeks ago. We did not listen. We brought her home. For 8 weeks I cooked for the dog while the cancer took over her body, It was the least I could do as Velco stayed by my side as I batteled breast cancer — a battle I won. Velcro passed on 02/07/2012 in her home with her people. If I had listened to the vets I would have lost two months with my little girl. Congrats to you on your battle. I am, however, sorry that Velcro did not make it. At least you were able to spend more time with her at the end. I also wish there was more to do or say about Beamer. Unfortunately, all we can do is wait and let time heal him. Thank you for the good vibes. If you read my comment to Susan, that addresses the use of a holistic vet. We are certainly open to it if we can find the right person. The woman we saw was totally against any traditional Western medicines and I do not think we can discount regular medicine totally. She thinks her waybis the only way. We will continue to look for another vet that is open to both. Hello. I could not wait to get home from work tonight to see if you had an update on Beamer; after reading about Beamer this morning you all were in my thoughts all day. I agree with everything you wrote and will be following the links in your post today. The prayers and healing wishes for Beamer and strength for you and Mr. B will certainly be at the top of the list for the next several days. Now I can share this: I had a beautiful cat many years ago – a raccoon literally shredded 1/3 of her, leaving her insides to fall out; everyone recommended putting her to sleep; but I couldn’t. She loved her canine buddies and a parakeet; one special vet, said ok and said she would need constant care; he practiced both East & West medicine and knew my passion for holistic healing. That cat lived – it took 3 months of constant care and cleansing the wounds. She lived for 8 more years until she was almost 20. Stay with your gut feelings – sending you all the very best. I am so glad that you were determined to save your cat and enjoyed many more years with her. We hope the same happens with Beamer. We have seen one holistic vet that is a D.O. She did do one treatment which was a bit unnerving under the circumstances. She also recommended several herbs and holistic remedies, some of which I cannot find on the internet. I told her I wasn’t starting him on anything new right now for fear of another action, which she said he could have from one or two of the things she had prescribed. I do cook his food and have for years. I think that and some vitamin supplements and antioxidants will be helpful. I want to speak with the therapy facility Monday. We also would like to find a vet that will do alternative medicine, but one that is not quite as zealous as the one we saw. I am sure it will take some time to find the right person. Gwen…I’m so sorry to hear this; I did not know. As I look at my old girl laying next to me I can just feel the heartache and worry you must be going through. We love them like our children and I can only hope and pray for you that your kid recovers fully. There are certainly plenty of people doing the same. Thank you so much for your comment. Yes, Beamer is definitely our baby and this has been heartbreaking for us. I know he is scared and confused, too. We are doing all we can to get him back to normal as quickly as possible. Please keep the prayers coming our way. Thank you for the good vibes. Yes, we are going to work with our buddy to get him better. Unfortunately, I am sure that some people do take the advice of the vet/state and put their pets down due to fear or lack of money for the care. I understand there need to be precautions, but if a dog is properly vaccinated there is virtually no chance that it get rabies. Gwen thank you for posting this information. I have had “discussions” with Vets in the past concerning over vaccination and luckily we are up to a 3 year protocol now. We will be doing Titres next time around. I hope Beamer recovers fully. He has a lot of people in his corner. I am glad that you are already ahead of this situation. I wish we had known about Titres, although it was not an option for us here after the raccoon attack. Supposedly, the booster shot is protocol in the State of Grorgia, regardless of when Beamer’s last shot was. Why bother to vaccinate if you have to booster before the next vaccination? It makes no sense at all. Thank you, Kristina. We appreciate any prayers and good karma you can send our way. Thanks so much, Jamie. I will definitely keep you updated. The list is far too long of problems with our pets and their vaccinations. May i ask, if its a reaction to the rabies booster whats the treatment for that? The only treatment they would give is cortisone and that is only if a dog goes completely lame. Beamer is still able to walk a little bit and can stand for a short time once we get him up. Thankfully, he still can do that. The only other “treatment” is time, love and therapy. We start therapy for him on Monday. I am glad Beamer is home with you, he will feel much better in familiar surroundings. If you have any questions regarding vaccinations you might want to contact Dr Jean Dodds. http://www.itsfortheanimals.com/DODDS-RESUME.HTM I have not had to contact her personally but people on the dog list I belong to swear by her and say she is very helpful as well as being the leading authority on vac. protocol and how they can affect your dog. Good luck with Beamer and I hope for an all clear update soon. Thank you for the information. Another TT owner did tell me about Jean Dodd and I did put a link to the Rabies Challenge in this post. All pet owners should see what she has to say before getting any more vaccinations. We need to have more information about these shots to be able to make informed decisions for our pets. I had goosebumps reading this post. Poor Beamer so alone. I look at our Charlie and know how stressed he’d be without us and Beamer wouldn’t be any different. My thoughts are with you and that gorgeous dog. I am praying for your Beamer that he will be the best case scenario and fully recover. Positive healing thoughts to Beamer and huge hugs to you & Roger. I’m so sorry that he has gotten weaker. Like another reader said, I know there are no words we can say to make it all better but I hope the therapy helps tremendously. Thinking good thoughts. Love you guys & wish I could hug you guys & Beamer in person. We’ll just pray he’s in that 80%. Thinking of you still and wishing the end of your ten days over quickly and with good news! I am so sorry to hear about your dog. My heart and prayers go out to your family. I have three dogs and could not imagine such strain on my family if something happened. I really hope your adorable doggie will be fine. Wish you the best. It does my heart good to see so many comments, Gwen. You are cared for, and that’s got to be an encouragement to you. I have never heard of this paralysis, and it’s actually quite shocking! The “cure” is the “cause”. Yikes! So glad you have access to cutting edge treatment for Beamer. Sending up a prayer for his speedy recovery. I am a horrible dog owner, as I only get my 6 vaccinated or boostered when we get them and whenever I think about it. We do get puppies vaccinated until they are adults, if you have ever seen a Parvo outbreak in an animal shelter, it is horrible. After adulthood, we only do the heartworm previous–and that every 45 days. My dogs always live long lives–the youngest one was 15 when she died. And she was a husky-shepherd mix. We had one that had seizures that died at around 5, but not from lack of care–which is pretty good considering all of my dogs stay outside in a fenced yard. Fingers and toes crossed! Hope beamer feels better soon! Much love. Sending sweet hugs to Beamer, hope he feels better soon!! I have been wondering how Beamer is doing, so I am glad you wrote this update. What a scary time for you guys. I started to get emotional with empathetic worry for your boy. I will keep your family in my thoughts and prayers and will send the very best energy for his complete recovery. Try to take care of yourself during this stressful time. Oh Gwen, My heart is breaking for your family. You are such loving parents to Beamer and doing all you can to help him out. I am keeping you in my thoughts and sending you good vibes. So sorry that you are going through this. I’m so sorry to hear about your Beamer. Our dog Buddy (5 yr old black lab mix) is currently enduring week 6 of Coonhound Paralysis. He is still unable to stand or walk but has regained movement of his torso and can sit up in a sternal position by himself. Just wanted you to know I understand your pain. Watching our wonderful vibrant dog unable to move has been traumatic. I wouldn’t wish this disease on any dog or dog owner. Good luck and I will watch for future posts to see how Beamer is doing. Oh Gwen, my heart has been breaking for you guys. We just adopted our first dog yesterday, and this was such an eyeopener…I had no idea that some vets know so little. I am praying that his body heals and recovers…that he astounds the vets with his returned strength. Hugs and love. Hi there? Anybody know anything about the recovery rate for a dog with 2 nd time coonhound paralysis? My Akita just came down with it this morning again. I have never heard of it happening twice. I am so sorry for you and your Akita and that you have to deal with this. It has been one of the worst things we have been through. Could it possibly be related to any vaccinations that your dog recently had or any medications? Has he come in contact with any stools from other animals or a tick? They are a number of things that can cause this, especially reactions to vaccinations. While the vets have told us that Coonhound Paralysis is rare, we are hearing more and more about pets having terrible reactions to vaccinations and booster shots. That is what we truly believe happened to Beamer and while veterinary schools do not use the term “Vaccinosis”, many vets that practice regular medicine along with some homeopathic remedies will tell you otherwise. They have run every test possible on Beamer (other than some very invasive ones) and everything has come back negative. Dr. Jean Dodds, an authority on the whole rabies vaccination controversy, says they will not find anything. Beamer has a classic case of Vaccinosis. We are behind on our updates right now, but are trying to document Beamer’s situation and recovery process on his blog http://beamerscorner.wordpress.com/. We will never get another vaccination for Beamer after this. He is just now starting to recover a bit after we thought we would have to put him down just a few weeks ago. He is a little over ten and supposedly, dogs don’t really need these shots after the first few, so we are done. Never again. I am not even sure what we will do about the heart worm pills. We are terrified to give him anything that could put his body in distress again. I will email you my contact info if you want to chat. Best of luck to you and your pup. Thank you for sharing your story. My dog is currently recovering from Coonhound Paralysis. Like Beamer, he was not exposed to a raccoon bite (impossible actually since we are in Australia). My little man, Baxter, is also 10 years old. The short version of our story is that one day in late September he became very wobbly on his feet. Within two days he was unable to walk, and barely able to breathe. He spent a week as an inpatient at the vet’s. They gave him oxygen ..and ran lots of tests. Once his breathing eased, he came home. He was paralysed for three months…. The best Chrismas present ever – he took his first two tentative steps on Christmas Eve. It is now February. He still finds it hard to navigate steps, but he can walk! It is hard work supporting your dog through Coonhound Paralysis, but the end result is soooo worth it ? My none year old furkid was just diagnosed with this seconds ago… After an actual racoon attack.